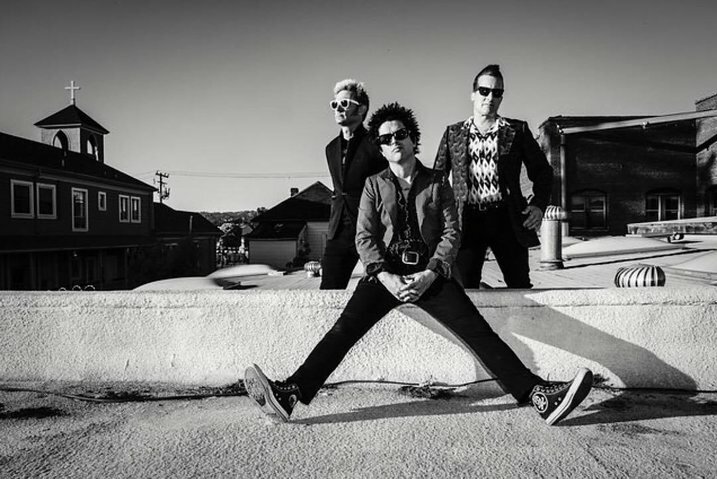 Green Day frontman Billie Joe Armstrong has revealed that the band will release a new song, titled “Bang Bang,” Thursday, Aug. 11. You can check out his confirmation tweet below. This news comes after the Green Day fan-operated website, Green Day Authority, reported that the band have a new album finished. Not only is an official announcement apparently coming soon, but Green Day also look to be giving radio station LIVE 105 a private listen next week. Green Day have spent a good majority of the past year sharing teasers of themselves recording new music. If the band have an album planned for release, it will be the follow-up to 2012's trilogy, ¡Uno!, ¡Dos! and ¡Tré!. Last Christmas Eve, the band released a surprise Christmas single, titled “Xmas Time Of The Year.” Earlier in 2015, Fall Out Boy inducted them into the Rock And Roll Hall Of Fame.